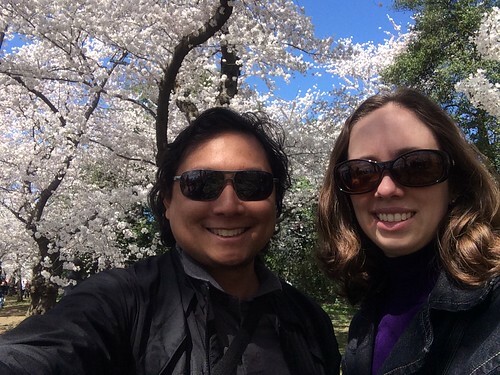 Continuing an unbroken string of annual DC cherry blossom photos, we ventured down to the Tidal Basin for peak bloom on April 11th. Mostly I just used my NEX3’s fisheye lens attachment, occasionally detaching it to use the wide angle pancake lens. 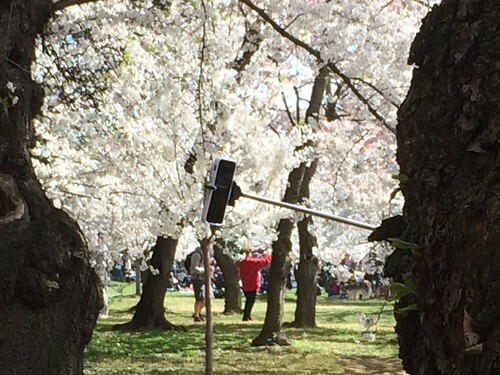 Selfie sticks abounded amongst the crowd, such as this one that peeked out from behind a tree trunk. 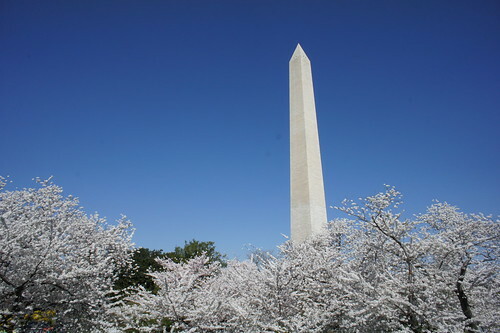 The Washington Monument, finally out of its post-earthquake scaffolding. 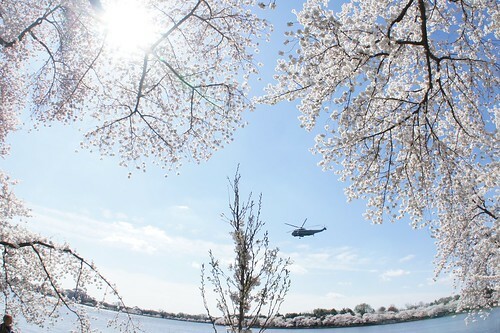 The Marine One chopper (no president on board) flew by and I managed to get a nice picture of it through the blossoms. 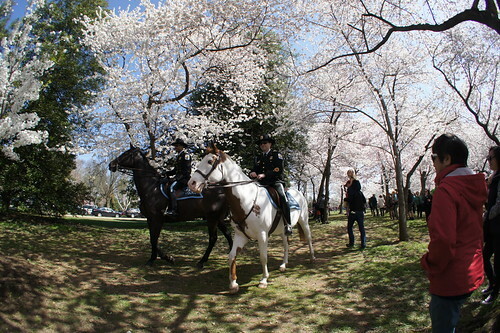 Some equestrian park police also rode by. 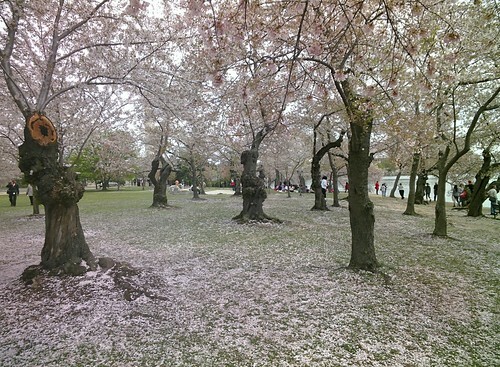 Really a perfect weekend for some hanami. 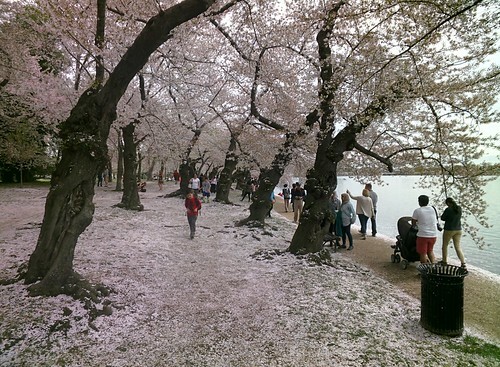 A few days later I returned to the Tidal Basin over lunch break, this time with my new Google Glass to see the post-peak blossoms. 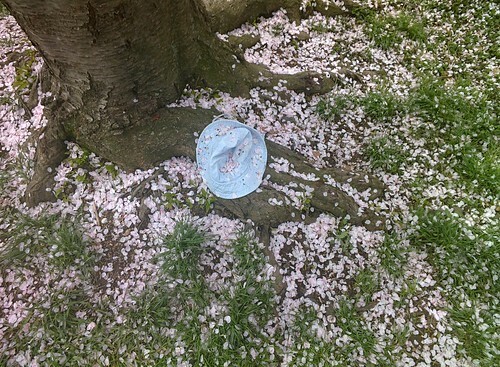 Pink was giving way to green in the canopy and petals rained down on the grass below. 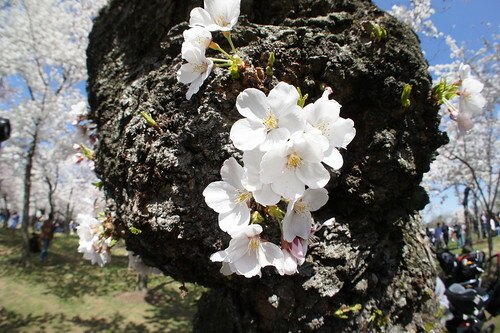 Still beautiful, and I was glad for the second opportunity to see the blossoms. 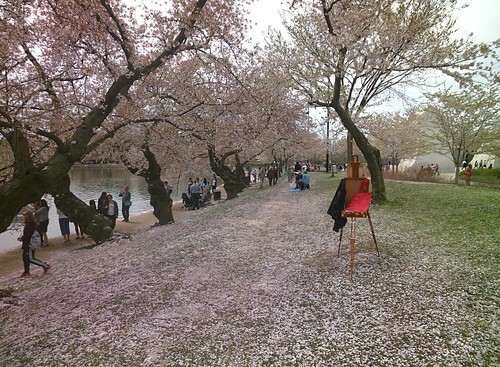 Full photoset for DC Cherry Blossoms 2015 here.